Mahle acquired RTI Technologies a few years back, and has done everything they could to improve the product line up. Sure, RTI was always known for quality, but with the clout and reputation that Mahle brings to the game, you know they had to step it up a notch. They've improved on a number of features and brought in the latest technology to offer you the finest transmission fluid exchanger and automotive fluid system service machines and equipment on the market. Their current ATX-3 Transmission fluid exchange service machine is the perfect example of how they are always innovating. It meets the strict SAE standards and yet maintains a very reasonable price.  Plus it offers the best warranty and parts availability in the industry.Call us today to get the best deals and the lowest prices on sale now at ASEdeals. MAHLE Model ATX-2-PS is an automatic transmission and power steering fluid exchanger in one! Automotive and light truck service stations would be well served by getting one of these handy transmission fluid exchangers made by RTI. They provide the effective service that your customer expects in a timely manner. All while doing so in a more complete and effective way than other competitive transmission fluid exchange machines can do. And because it's manufactured by RTI, you know you get made in America quality.